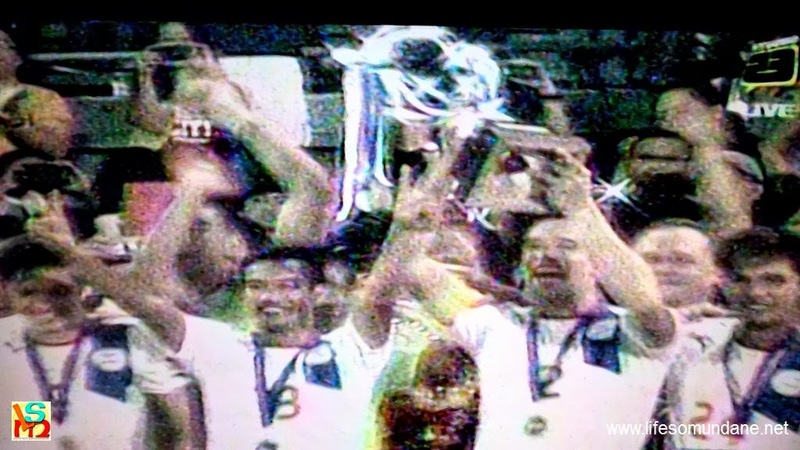 Winless going into the concluding match of the 2013 Peace Cup, the Philippine Azkals needed a spark of inspiration against Pakistan to stand any chance of holding onto the trophy that they won in convincing fashion last year at the Rizal Memorial. Nothing but a victory would have been of any worth to the Azkals after the Pakistanis had scored early against Chinese-Taipei last Sunday then closed shop in the endgame to preserve the win. A draw would have sent the Peace Cup to South Asia. The inspiration came in the form of a striking partnership that paired Fil-Germans Stephan Schröck and Patrick Reichelt, a bit of innovation by Michael Weiss that, perhaps, could have come sooner to spare the Azkals the ignominy of losing to Chinese-Taipei. In the form that Schröck, in particular, was last night, only the deranged among those who gamble would have wagered against the Philippines. The Eintracht Frankfurt star was, at times, unplayable. Quick of wit and seemingly with wings attached to his feet, Schröck made one goal and scored another to ensure that the Peace Cup stayed on Philippine soil. Neil Etheridge was, but of course, his usual impeccable self, keeping out an 80th minute missile from Pakistan after having spent long periods of the match uninvolved. Probably unnoticed by most was the quiet and efficient way with which Jerry Lucena broke whatever budding attacks Pakistan were putting together then played the simple ball out for others to use. The sooner victories are secured without aggravation, however, is something that will keep Weiss up nights. As in the opening day encounter with Chinese-Taipei, the Azkals once again found themselves up the creek; albeit this time, they subsequently found the paddle. The sight of Juani Guirado partnering Rob Gier in central defence was comforting; but that nobody tracked the run of Hassan Bashir in the 15th minute for Pakistan’s opening goal was reminiscent of the shambolic defending of the first match. But after a good opening spell when Pakistan could have scored at least a goal more, the Philippines started to knock on the door. Misagh Bahadoran, arguably playing his best match in an Azkals jersey, ran at the Pakistani defence from the left flank in the 20th minute but opted to pass when one more shimmy and a shot seemed the wiser option. In the 31st minute, Reichelt cleverly flicked a pass onto the path of Schröck just top of the box. The latter’s left-footed shot was, however, wild into the Bacolod night. The effort was, nonetheless, merely a precursor of what was to come just two minutes later. Schröck received a pass down the right flank, expertly flicked the ball with the outside of his boot around his marker, sped down the right flank and waited for support to arrive before placing the ball across the face of goal. Reichelt, who timed his run to perfection, sent the ball crashing into the back of the net. The equaliser added more spring to the steps of the Azkals as they poured forward in search of the winner. The one-way traffic continued onto the second half when Bahadoran, in particular, joined Schröck in shining like beacons for their team. The Fil-Iranian was giving the Pakistan defence a torrid evening with his pace and inventiveness down the left flank; but on more than a few occasions when a shot was needed to crown all his good work, he bizarrely seemed timid about pulling the trigger. When he did shoot after making space for himself in the 54th minute, regrettably the shot was well wide and over. Bahadoran could have gambled on a low cross whipped in by Schröck in the 67th minute, but probably thought the goalkeeper would smother it and missed scoring the goal that would have been just reward for his night of fine endeavour. The Philippines left it late before putting Pakistan to the sword; but the winning goal, when it came, was off the boot of who else but the history-maker. James Younghusband, pulled down to the backline after injury to Jerry Barbaso, sent in a measured cross which Reichelt first mis-headed against Angel Guirado and was later parried out by the goalkeeper. Waiting to pounce with his left boot was Chris Greatwich, scorer of that famous opening goal against Vietnam in the Suzuki Cup of 2010 and who seems to reserve his goals for when they are needed most. The coup de grace and the goal that showed once and for all whose trophy the Peace Cup really was just had to be scored by none other but Schröck in the 80th minute. As Pakistan tried to claw their way back into a game that was quickly slipping out of their hands, Reichelt broke with the ball and ran practically the entire length of the right flank before sending a low cross down the middle. It was not merely that Schröck scored; it was how he did it. An exquisite first touch took the ball away from the goalkeeper and with the second touch the ball was despatched low and hard into the net despite the desperate attention of a defender. “Better than the Bündesliga,” Schröck described the victory in the post-game interview, sensitive as he even was to mention the morning earthquake that hit the Visayas as well as the recent upheavals further south in Mindanao. Service restored, then, for the Philippine Azkals, whose vibrant display last night was in stark contrast to the insipid football played against Chinese-Taipei. While Schröck and Bahadoran might have caught the eye as did goalscorers Greatwich and Reichelt, it was a collective effort that showed the desire that will be needed when finals of the Challenge Cup come around. The Challenge Cup now beckons, although if there was anything really learned from the 2013 Peace Cup, it was the importance of all our top players staying healthy. The striking options, in particular, looked painfully limited; although Weiss might just have solved this problem using the German connection.